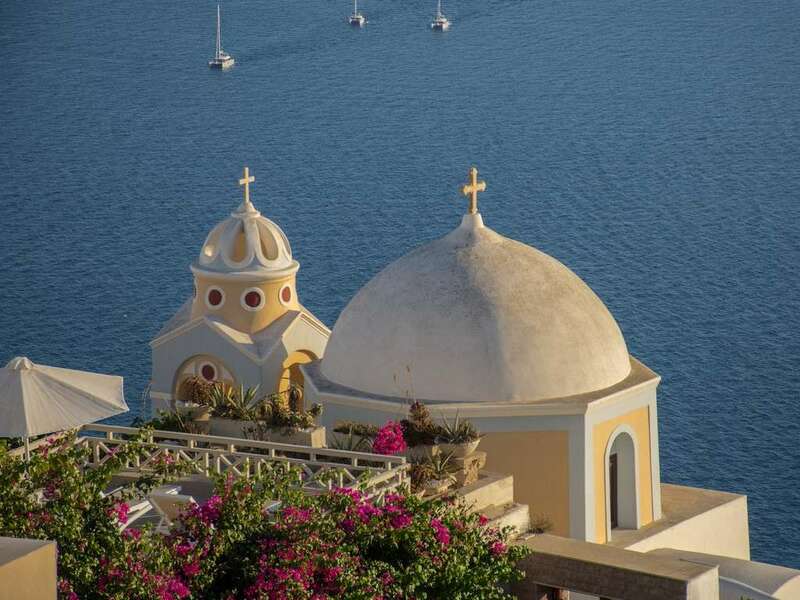 Beyond being known as the island of beautiful sunsets, Santorini or Thira today offers much to the eco-visitor, as many hotels have kept the traditional style of architecture without spoiling the surroundings. 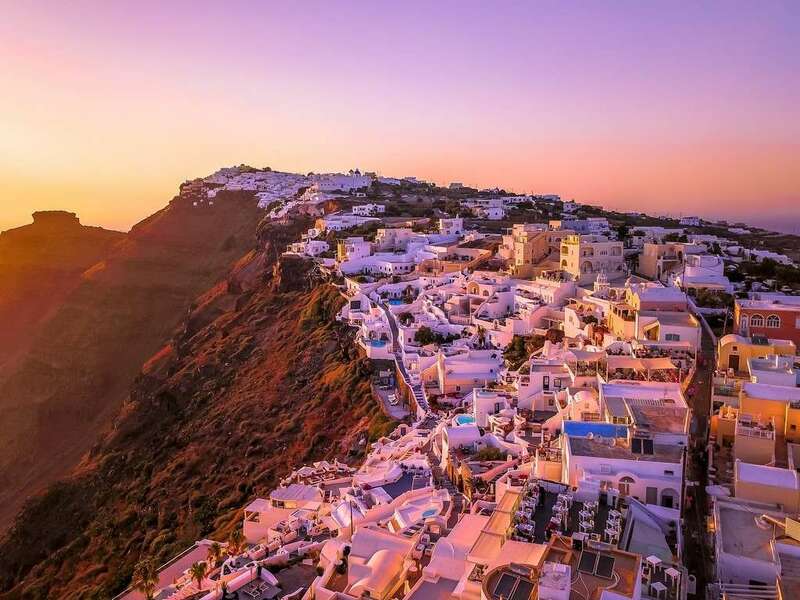 Everything about Santorini revolves around its volcanic nature and crater or caldera, resulting from one of the biggest volcanic eruptions on the planet over 3,500 years ago. 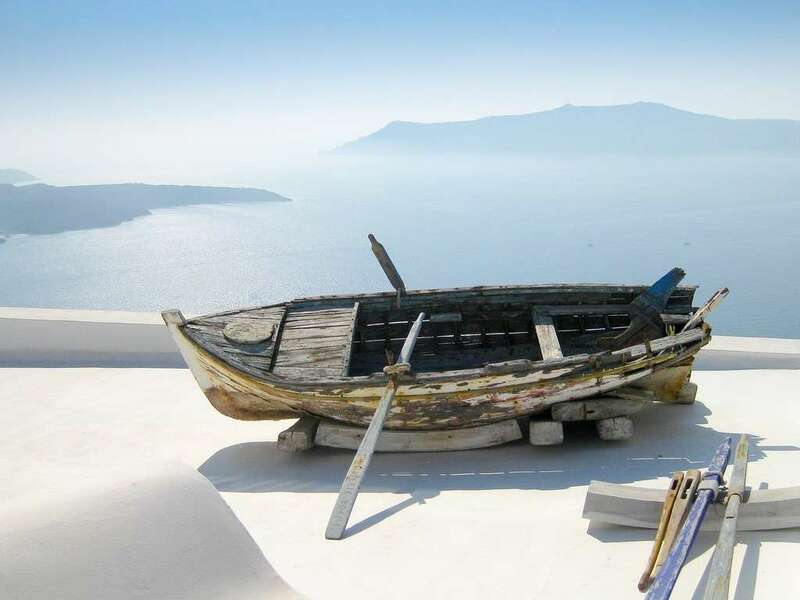 Luckily, the volcano is now dormant but it has left its mark on the gleaming charcoal beaches, the fertile soil that grows outstanding wines and a mountainous topography that exudes Mediterranean magic in the middle of the sea. 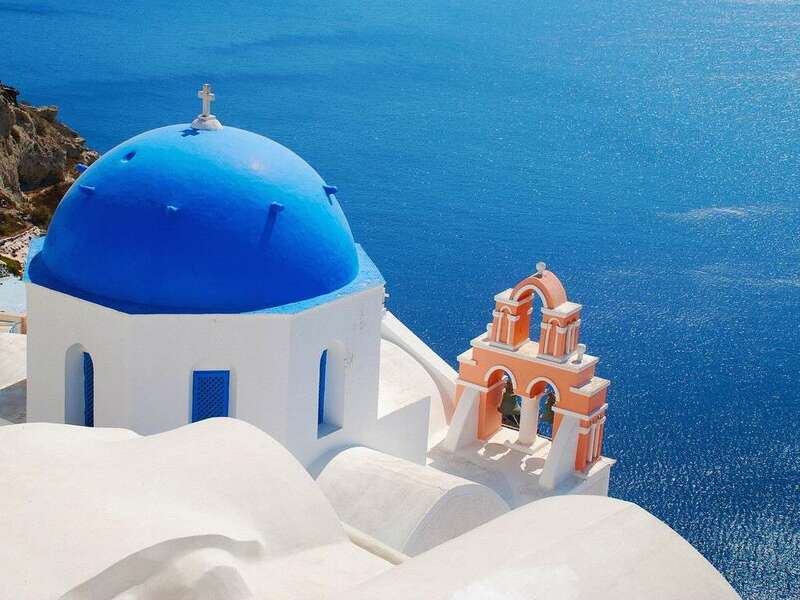 This is a befitting description considering that some experts even believe Santorini might have been no other than ancient Atlantis. 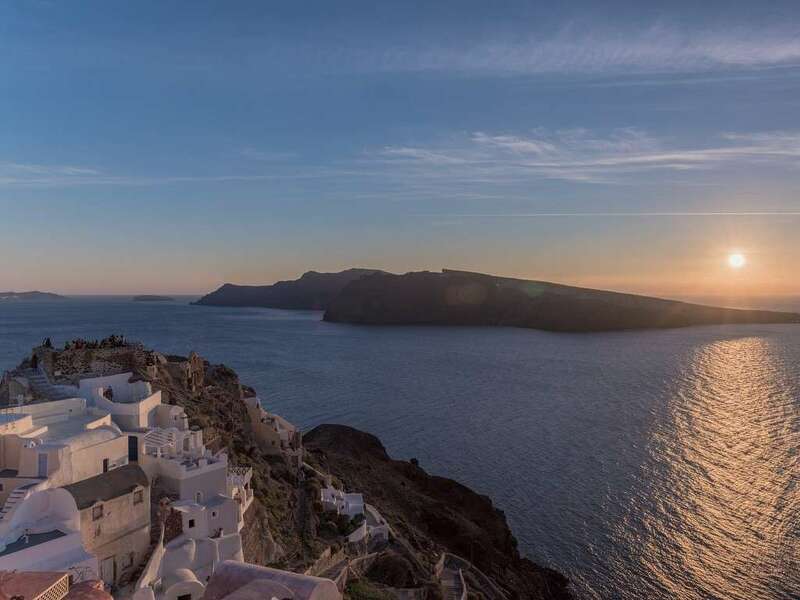 Beyond being known as the island of beautiful sunsets, Santorini or Thira today offers much to the eco-visitor, as many hotels have kept the traditional style of architecture without spoiling the surroundings. Some of these small hotels are transformed villas that make for a delightful stay (See Eco-stay section). 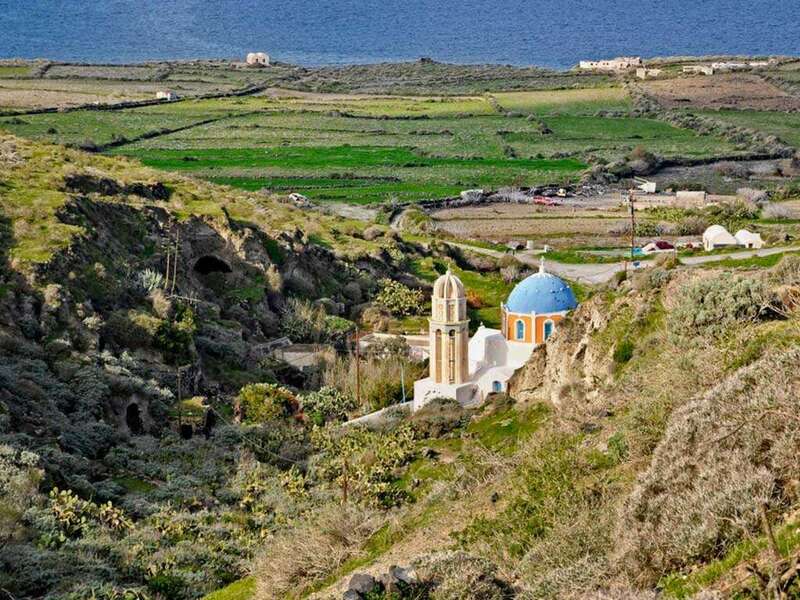 On an ecological note, part of Santorini is included in the Natura 2000 network, beginning south of Pirgos to the highest peak of the island and to Mesa Vouno. 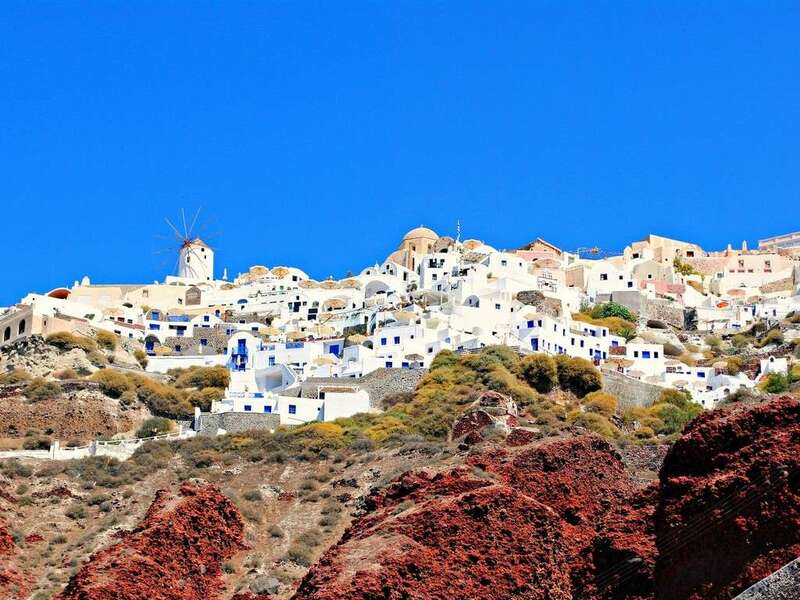 Reaching the main town of Fira from the port requires a hike up 588 steps or on the back of a donkey. There’s also a funicular for the more lazy, and of course by car. 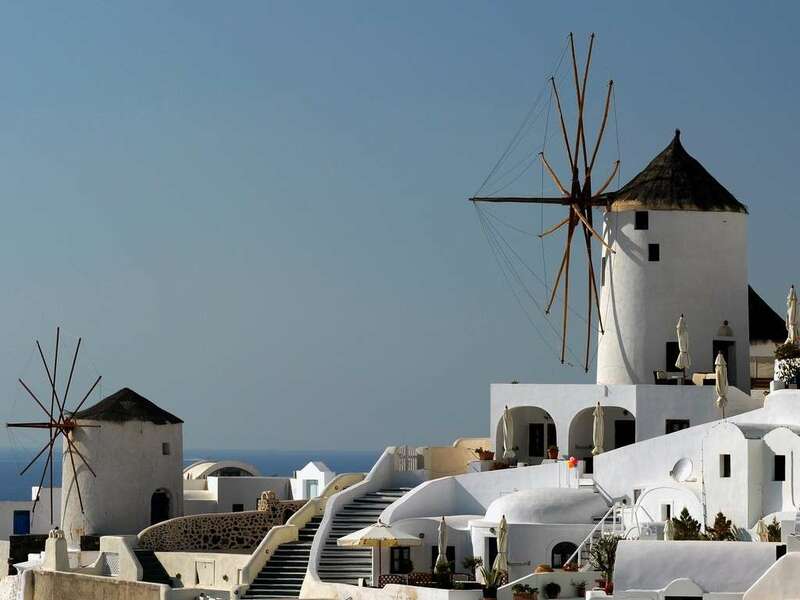 Windmills, arcades and narrow streets characterize Fira, particularly the once upper-crust neighbourhood reserved for the catholic nobility. 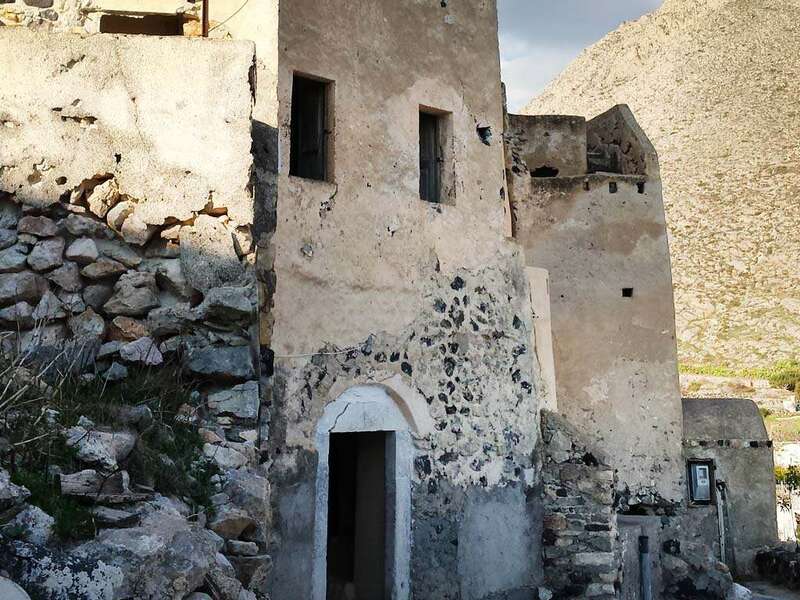 Further away from the main town the little village of Mesa Gonia features ruins from the 1956 earthquake, as well as restored villas and a winery. 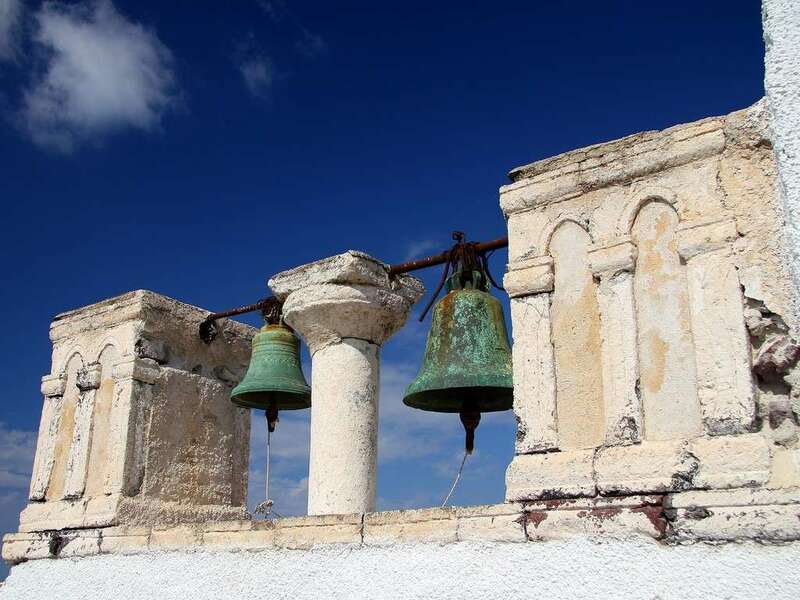 The village of Pyrgos is also worthy of attention with its grand villas, Byzantine churches and what’s left of a Venetian castle. 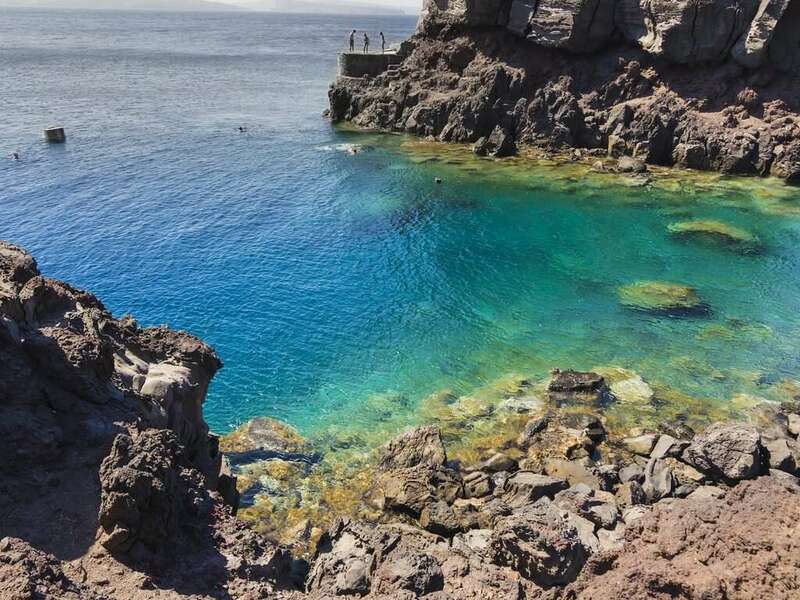 For a more authentic feel you can venture to Mesaria in the middle of the island, where the noteworthy Argiros estate dates from the 19th century. For a modest beach and small village try Vlichada. 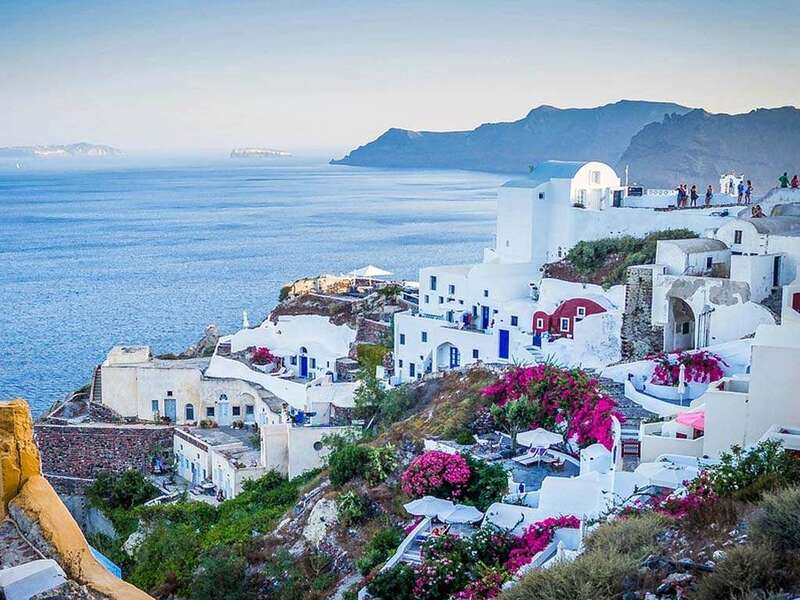 With the help of daily excursions, you can cross over to the volcano island and nearby island of Thirasia which boasts less tourists than Santorini. 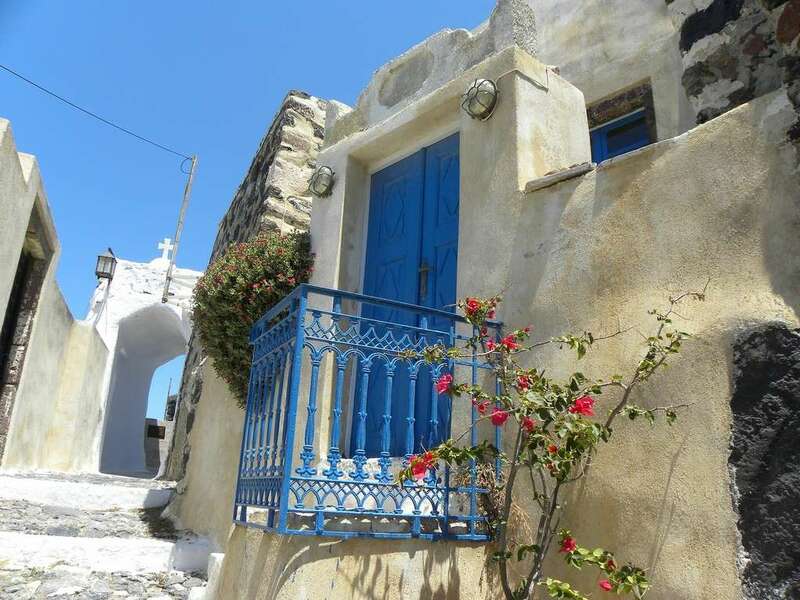 Overall, Santorini is full of little surprises over and above the obvious delights. 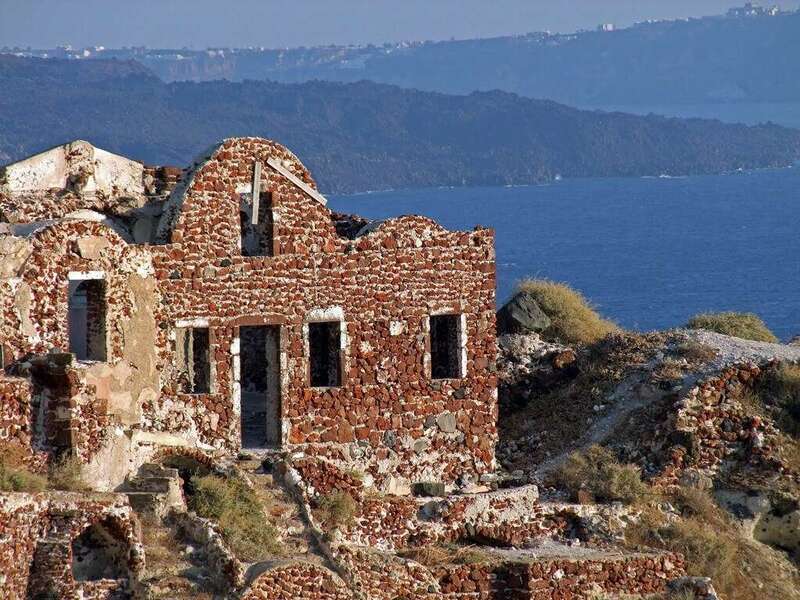 You can still see many cave houses around the island, some of which are still inhabited today. For an interesting read, visit the Atlantis Bookstore in Ia, run by an international collective of artists and writers. 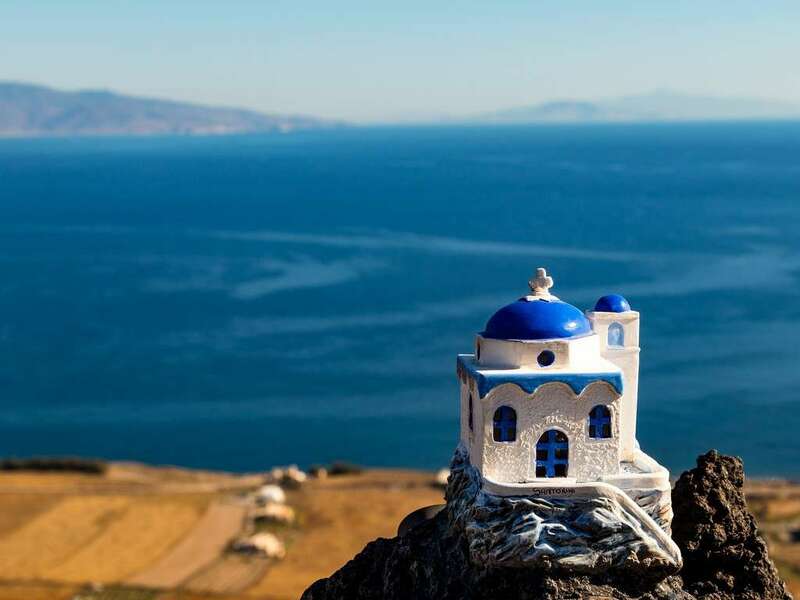 The Santorini TopoGuide, a fantastic new hiking app, has just been released for Santorini, Cyclades. Great images, wondrus hiking routes, geological curiosities and even roadmaps will guide users on amazing island journeys. 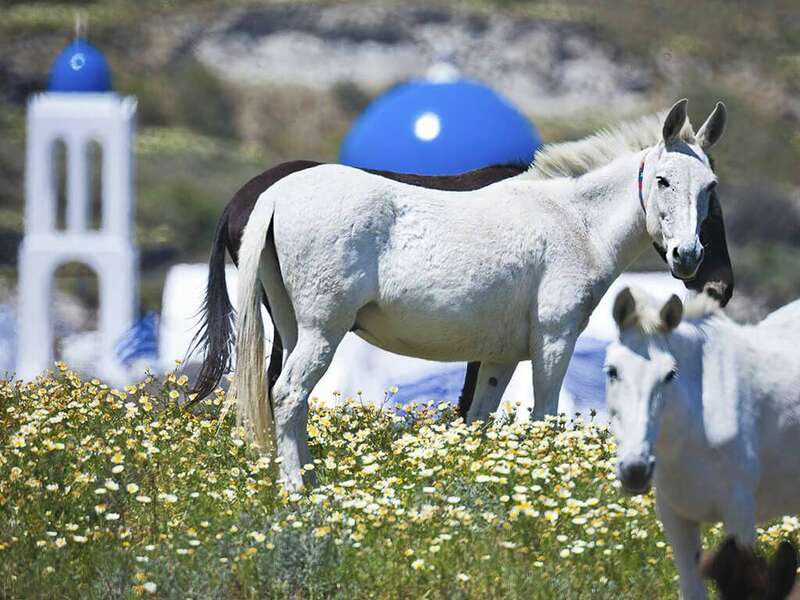 www.ecotourism-greece.com is proud to have contributed its insights to this app! You can download this app from Google Store here! 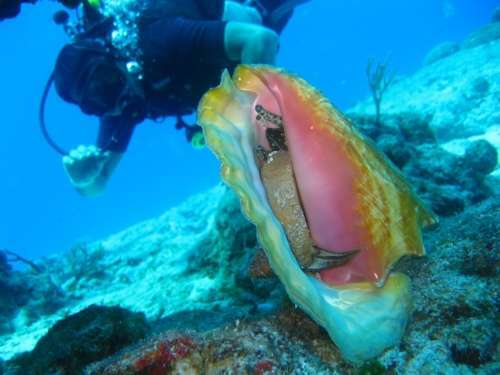 While there isn’t that much fish to see, there is a shipwreck near the volcano, as well as reefs and caverns to check out while diving. 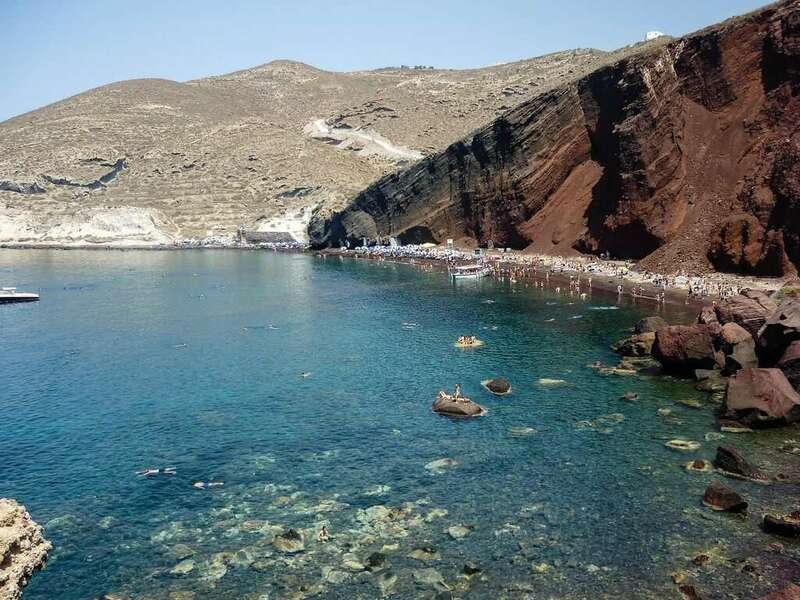 Snorkelling is also popular at Mesa Pigadia beach, the beach to the south of Ia, Caldera beach and around Perissa Rock, as well as between Perivolos and Vlichada Beach. 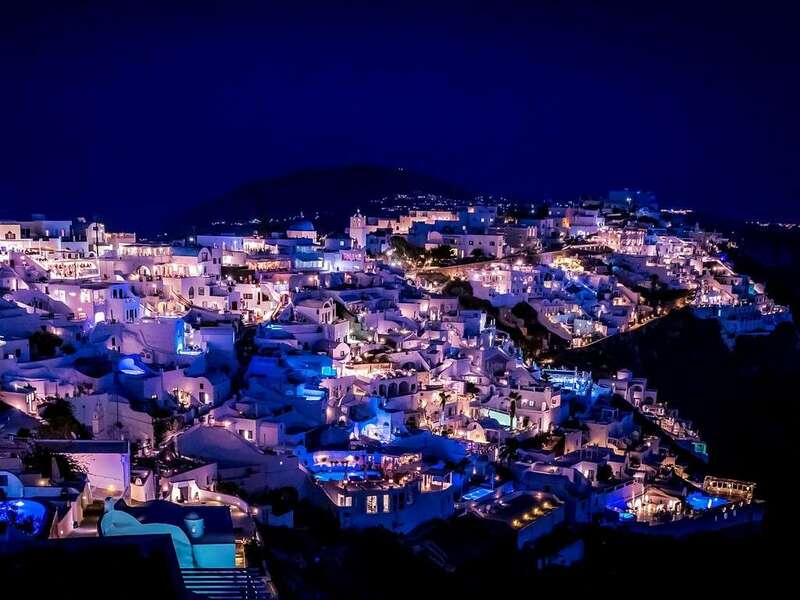 Santorini is known for its wines, with many wineries to visit. There are the Volcan Wines Museum and Winery, as well as the Antoniou Winery and the Boutari winery both in Megalochori. The Argiros Estate, Roussos winery are found in Mesa Gonia near Kamari. 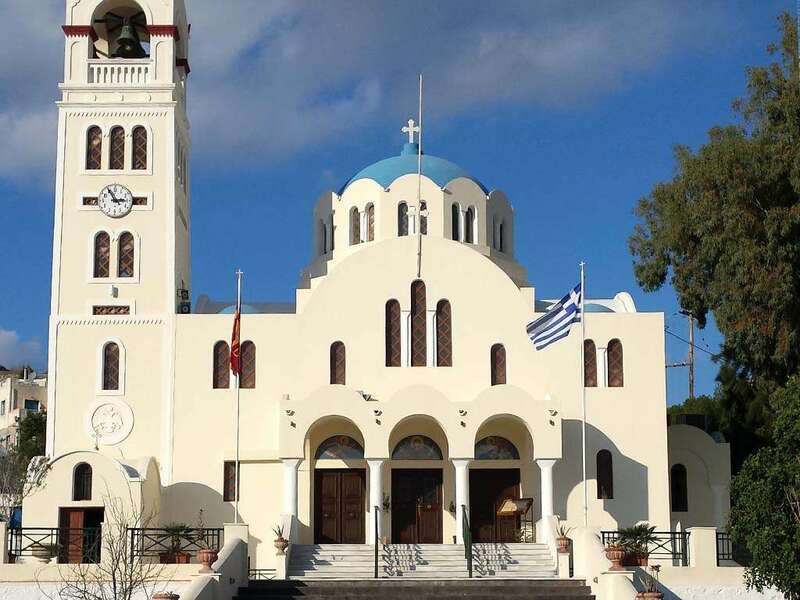 Noteworthy tooare the Hatzidakis winery and Santo Wines both in Pyrgos. Food wise, Santorini is famous for its tomato products including cherry tomatoes and sun-dried tomatoes, as well as for its capers, unique white aubergines and fava beans (for a good fava dip). 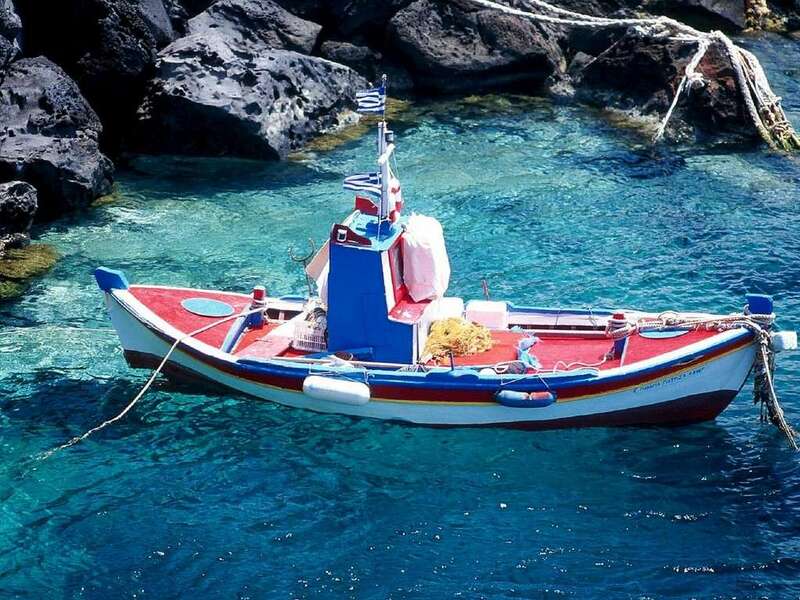 Family-run fish tavernas are wonderful, so are the tomato keftedes or patties that the islanders make. Also try the white Cloro cheese that is a Santorini exclusive, as well as the island's pistachio nuts. 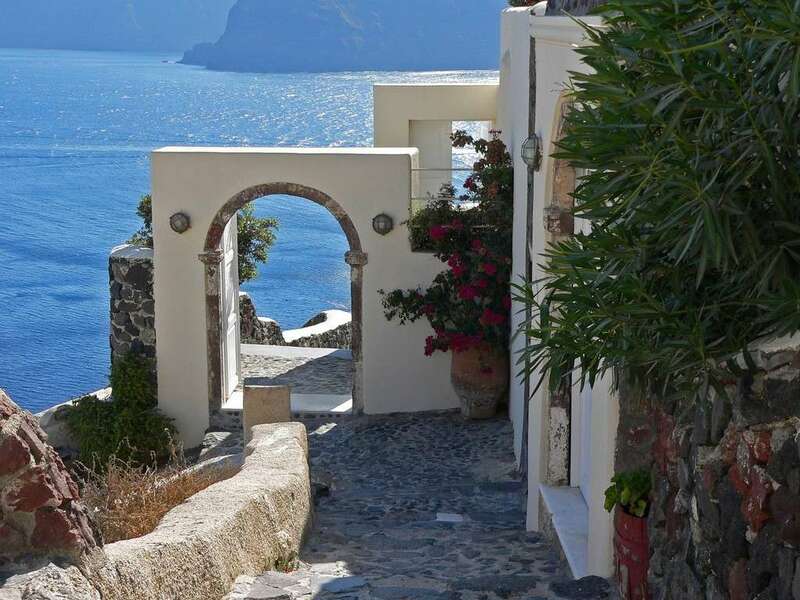 While there aren't many hiking paths, one long hike can take you from Fira through Firostefani and Imerovigli to Ia, with fantastic views onto the caldera. 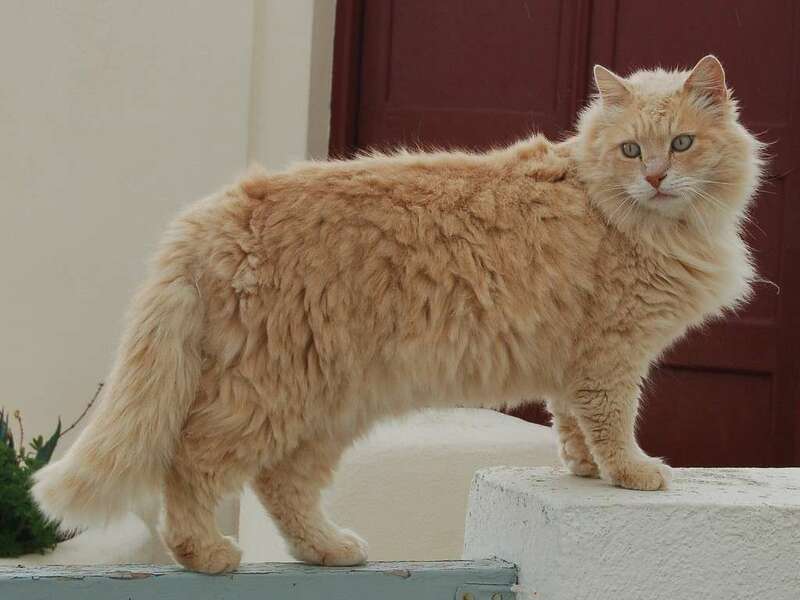 There is also an old path from the summit of Profitis Ilias to the hill of ancient Thera, then on to Perissa. 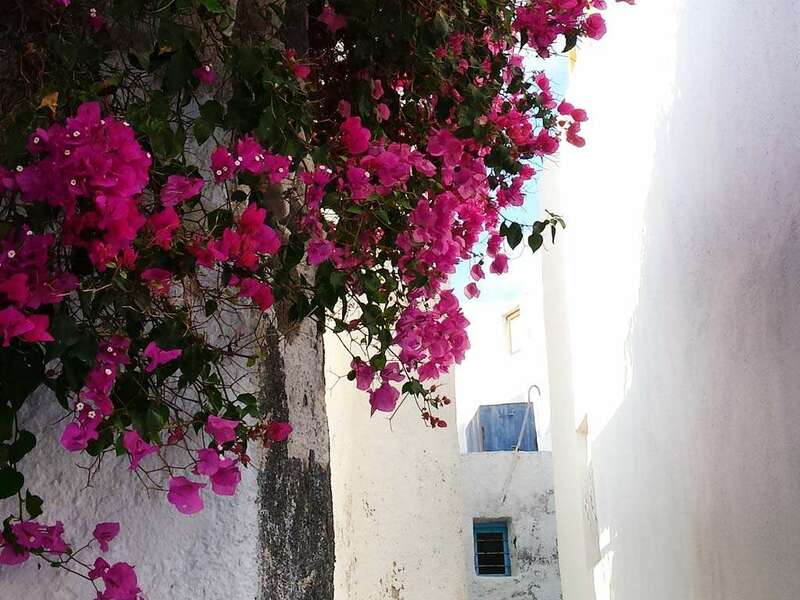 This hike is best begun from Emborio or Pyrgos. 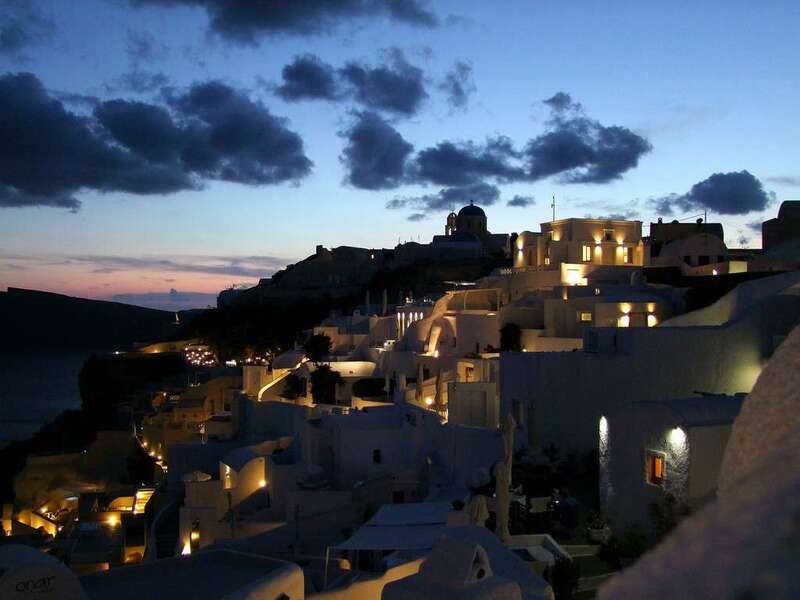 In ancient times, Thira was occupied by Phoenicians, Dorians, Romans and Byzantines. The ancient site features a central road or Sacred way with marketplaces, homes, baths, sanctuaries, theatres and the house of Ptolemy Euergetes, in addition to Archaic and Classical-period tombs. The site of Akrotiri, considered one of the most important in Greece, features remains of the Minoan civilization which was completely destroyed by the active volcano. Whole shops and houses, some three floors high, were buried underground similar to the Pompeii catastrophe. Spectacular murals were found in some of the buildings, as well as everyday objects and vases, many of which are on display at the National Archaeological Museum of Athens.